Commuter rail is the inadequate and often misleading moniker for transit services of this type. 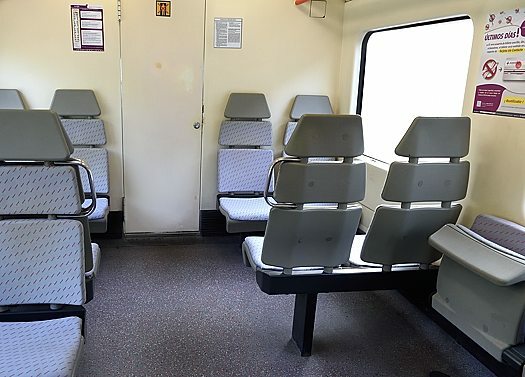 Bigger and faster than trams, with spiffier seating (usually), longer routes and their own right of way, often shared with regional rail networks. Suburban householders ride commuter rail to weekday slaves in the financial district. I was lucky enough to sample many such systems worldwide during travels in ’14 and ’15. (But still kick myself for missing the huge regional New York grid.) I noted that the S-Bahns, RERs, S-Togs and so forth ran much more often than equivalent services in the Golden State, but can be a dense old codger at times, and never bent my brain around the big picture of how such frequent commuter rail service might impact mobility for a year-round resident. Hadn’t I privately dismissed California commuter rail as a big yawn? How many errands or meetings had I attended via Metrolink in 10+ years without a car in L.A.? 3+ hour mid-day waits between trains on the Ventura County line, no weekend service! Come on. I now live in Madrid, and can remain dense no longer. The Cercanías commuter rail grid is nearly as fundamental to the transit infrastructure here as the metro, and matters far more than the relatively trivial Ligeros light rail system. 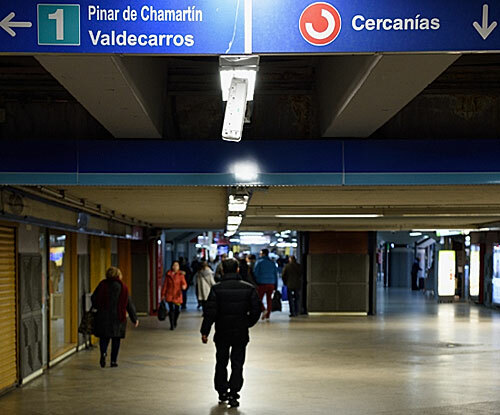 Long stretches of Cercanías run underground in central Madrid, alongside the metro. 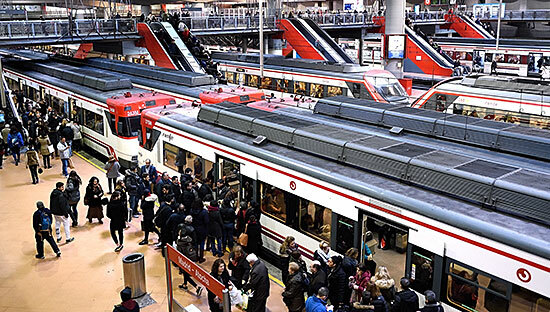 Cercanías links with the metro at stations all over Madrid; riders bustle through one system’s fare gates, pass through another’s a minute later. I’ll never again see commuter rail as I did out west. I’ll let the timetables talk. On weekdays, six trains on Metrolink’s Antelope Valley line depart from suburban Santa Clarita before 8:00 a.m. for the hour long slog to downtown Los Angeles. 9:13 a.m., 10:05 a.m., 11:35 a.m., 12:42 p.m., 1:54 p.m., 2:44 p.m., 3:30 p.m., 5:14 p.m., 7:34 p.m. Eager to zip downtown for a late afternoon pow-wow with an accountant, lawyer, business associate, or to bag some yummy pastries at Queen’s Bakery? Better bring a book, maybe War and Peace. How about if you don’t go to bed at 7:30 p.m., and fancy a Friday night club hop in the Arts District? Better bring a sleeping bag. The trains don’t run that late. How about transit alternatives? Non-existent or unappealing. (Although I’m not as swift with a SoCal trip planner as in my TransitPeople years, and may have missed a route.) The loud-and-clear message: you need a car to live in Santa Clarita. Or Uber, or plenty of cab fare. The Bay Area’s Caltrain runs more frequently, with one hour mid-day and weekend headways (time intervals between vehicles). But I don’t want to wait an hour between rides, and ignored Caltrain proximity while scouting transit-friendly digs in 2011. As for Ace Rail in the East Bay: eight trains a day, four westbound in the morning, four eastbound in the afternoon. That’s all. 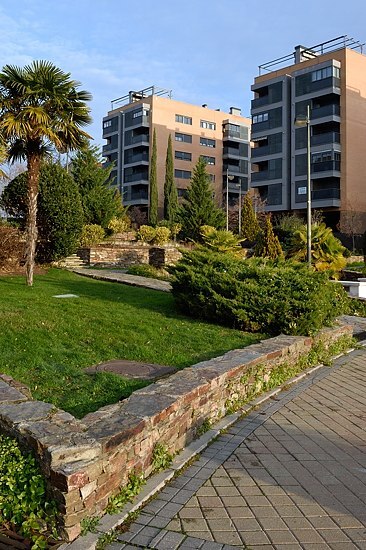 In Madrid, in contrast, I came within a whim and a hair of a long-term apartment lease in suburban Aravaca, largely for the unit’s proximity to a Cercanías stop. Consider the headways I looked at from the El Barrial-Centro stop to the metro link at Principe Pio: ten or fifteen minutes mid-weekday, fifteen to twenty minutes on weekends. Admittedly, this is a best case scenario. El Barrial-Centro is only a fifth as far from Principe Pio as Santa Clarita’s thirty-seven miles from Union Station, and is served by two Cercanías lines. So I’ll compare apples to apples. Aranjuez and Guadalajara are about thirty-two to thirty-six miles from central Madrid. Mid-day weekday headways are twenty to thirty minutes for the first and a mere fifteen for the second. 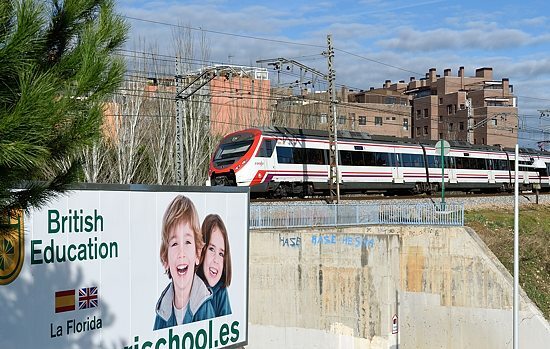 And, mind you, Cercanías isn’t in the same league as some commuter rail lines found elsewhere. So far I have toured the Cercanías C-2, C-3, C-4, C-5 and C-8 lines. Occasionally I have wondered during these travels if the transit pixies may have erred, and inadvertently bequeathed to Madrid a transit infrastructure intended for the booming NorCal tech hub. I imagine a benevolent Godzilla peeling back the Bay Area’s rocky crust in the wee hours — say at 3:00 a.m., when houses are moved — and depositing a cloned Madrid transit infrastructure in BART and Caltrain’s stead. Imagine! Long-suffering commuters in San Rafael, Novato, Petaluma, Vallejo would wake up to find Cercanías hubs in their respective city centers, offering departures four times an hour to Market Street and Jack London Square. San Franciscans would blink and pinch themselves while tapping in Clipper cards at un-grimy new metro stations on 19th, Divisadero, 3rd Street, and at least three on Geary. A Tracy native told me that some of her neighbors have to wake up at THREE IN THE MORNING to beat the rush hour jam on the 205 and 580 freeways. If only this kindly Godzilla could have its way! Tracy commuters might get to stay up later, offer homework help to their children. I am doodling an idle fantasy here, so will not consider the legitimately bitter objections to such radical changes. I contend only that a brawny, Madrid-sized transit infrastructure would be a reasonable fit in the Bay Area. Since 1992, the populations of San Francisco, Alameda, Contra Costa and San Mateo counties have swelled 18, 24, 34 and 16%, respectively. Google, Facebook, Twitter and Uber didn’t exist in 1992; now they’re headquartered in the Bay Area. I don’t know. I don’t understand the Madrid economy, the Madrileño perspective on public sector spending, urban development expectations before and after the financial crisis, much, much more. I don’t understand Madrid or Spain, period, and haven’t yet met other transit buffs here. If you’ve spent most of your life in California, as I have, please don’t think that Metrolink and Caltrain are representative of commuter rail planet-wide. They’re not. 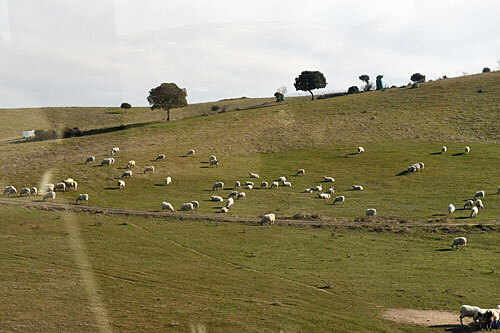 This entry was posted in Expat, Madrid, Transit and tagged Cercanias, commuter rail, Madrid, transit. Bookmark the permalink. Post a comment or leave a trackback: Trackback URL.